Its official, Charlie Harper is no more. As of today Charlie Sheen has been fired, no turning back. However, the faith of the show has not yet been decided. There are talks of introducing a new character to try keep Two and a Half Men going, but will the audience watch? Sheen doesn’t seem to be going down without a fight, which isn’t surprising, as he says he’ll be suing to try get another season, which he’s contracted for, made. If the show were to continue filming, Charlie Sheen also insists on a raise in pay, bring his wages to $3 million per episode. Warner Bros has sent a statement to his lawyer saying that they are letting him go as there is ‘ample evidence’ that Sheen has committed felony offences. Who will win the war? 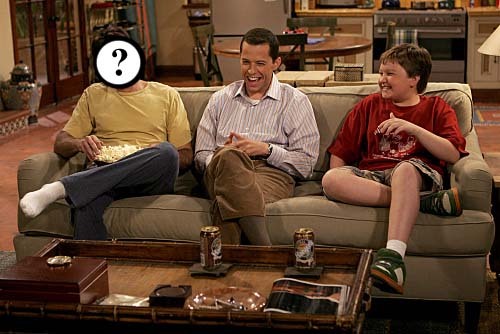 Would you watch One and a Half Men? Or New and a Half Men? Let me know what you think by leaving a comment and voting below. This entry was posted on March 7, 2011 by adamodwyer1. It was filed under News and was tagged with a, and, be, bros, cancelled, charlie, fired, future, half, he, it, lawyer, men, new, news, of, officially, one, replaced, sheen, sheen's, show, shows, the, tv, two, warner, will.